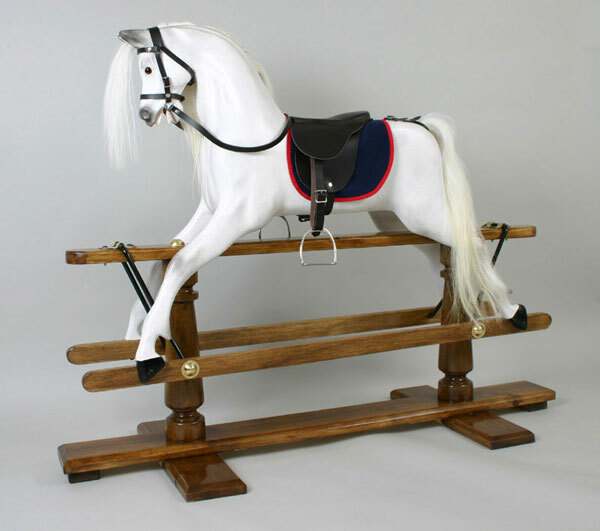 For antique rocking horse restoration in Yorkshire, you can call on the services of expert restorers, JFD Rocking Horses Yorkshire. 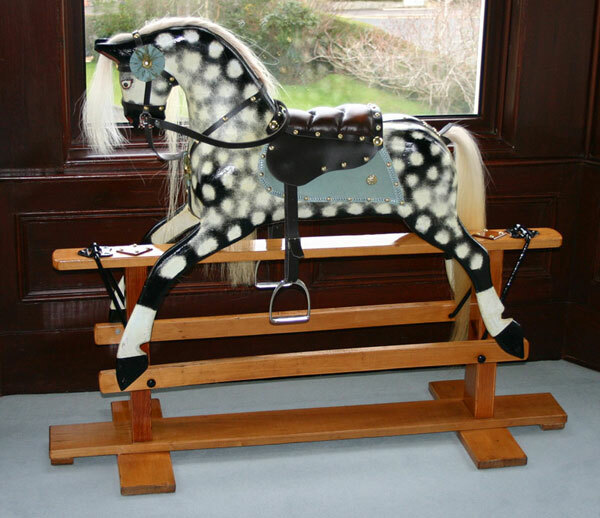 In local workshops, these Yorkshire rocking horse restorers provide first class restoration and repairs. 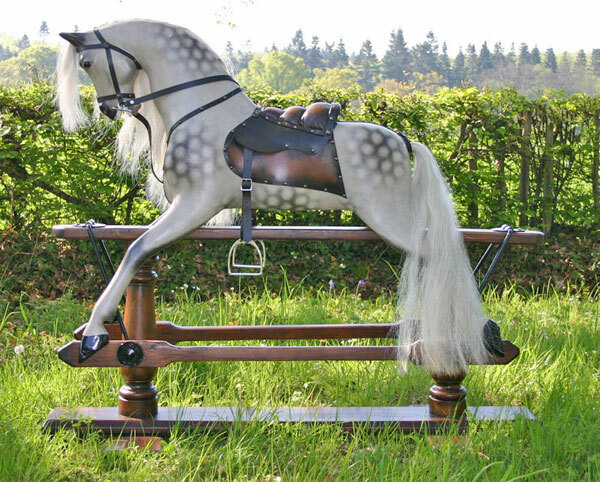 An old established Yorkshire rocking horse maker, JFD Rocking Horses is nowadays mostly renowned for Yorkshire rocking horse restoration. 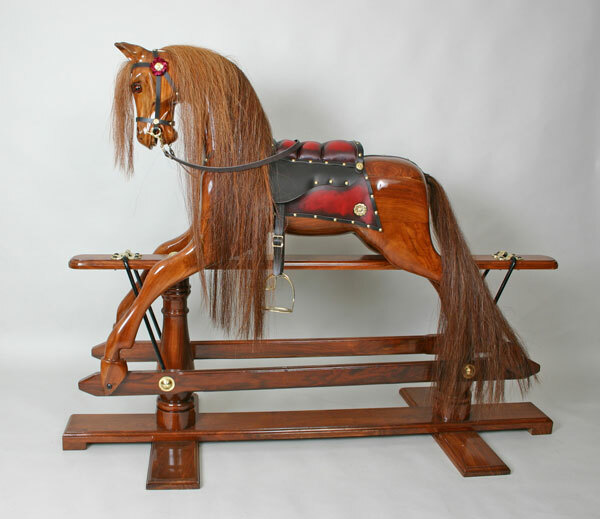 With over 25 years of experience, this Yorkshire rocking horse restorer brings considerable know-how to the craft of renovating your old favourite and is renowned for work antique rocking horse repairs to many horses, including those made by Ayres, Lines and Collinson. 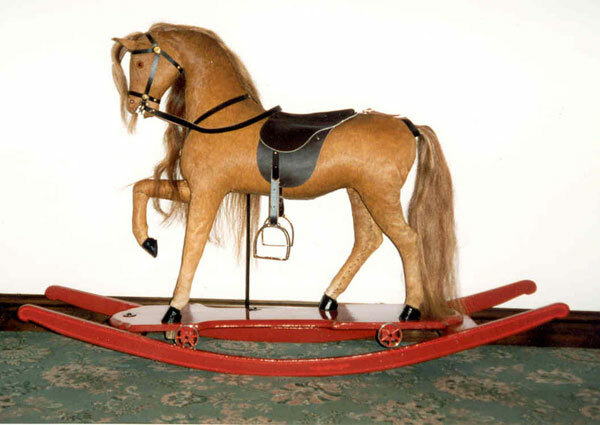 Yorkshire rocking horse restoration for Leeds, Bradford, York, Sheffield, Hull, Huddersfield, Doncaster, Barnsley, Halifax and many other towns outside Yorkshire, including Newcastle, Manchester, Liverpool. 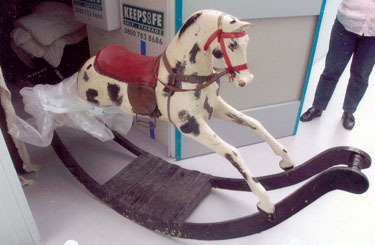 Our antique rocking horse restoration area includes Derby, Stoke-on-Trent, Leicester, Glasgow, Edinburgh. 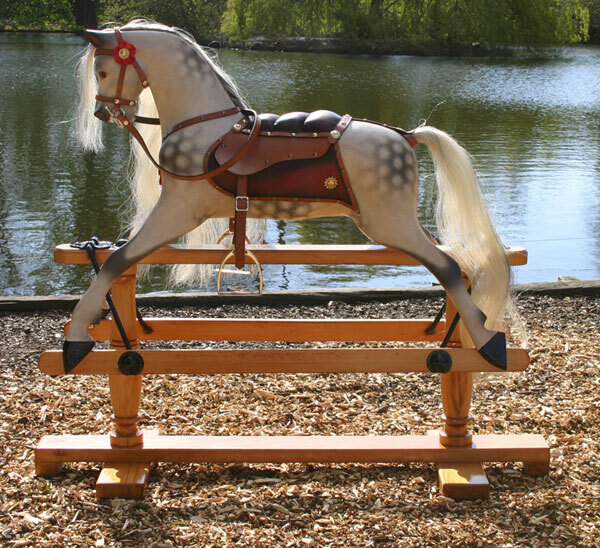 So, although we are considered by many to be the foremost antique rocking horse restorers in Yorkshire, we will be pleased to hear from you even if your rocking horse lives outside Yorkshire area. A collection and return service is available across a wide area. 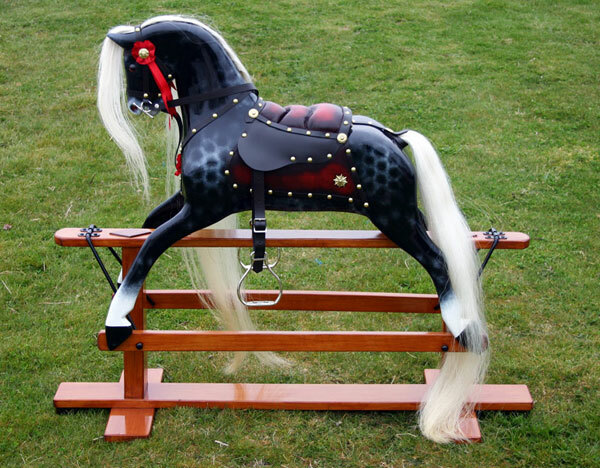 Our Humberside Yorkshire rocking horse repair work mainly covers wooden rocking horses - antique, vintage and modern - though some specialist renovation of Pegasus plush rocking horses is provided. 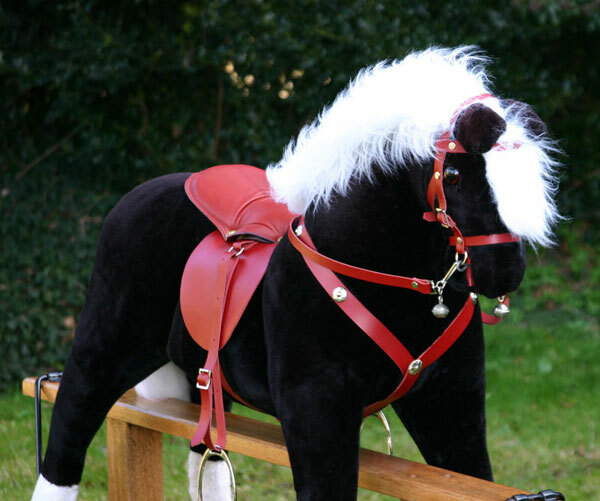 Those seeking us out for wooden antique rocking horse repairs in Yorkshire have a variety of horses of all types, sizes and ages. 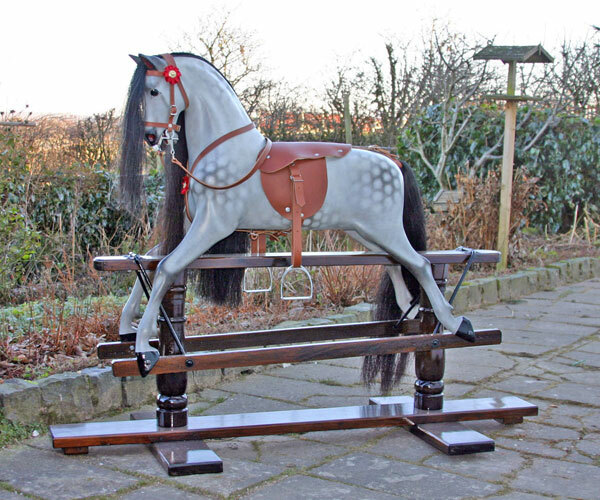 Our North Yorkshire rocking horse restoration service gives tender loving care to rocking horses from Harrogate, York and across the region. 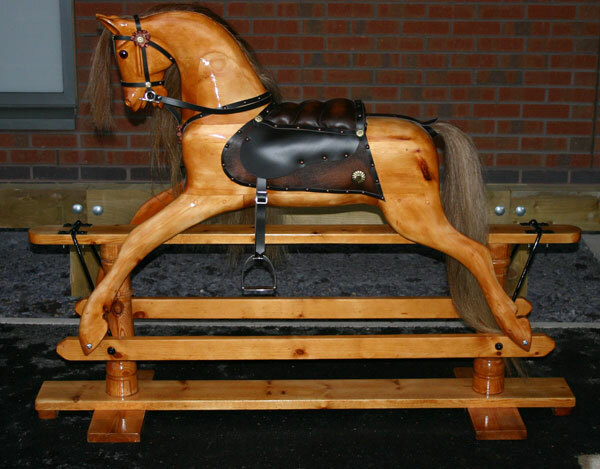 We specialise in restoring, repairing and renovating for North Yorkshire owners, and our restoration service extends to Durham, Tyne and Wear, Newcastle rocking horse restoration and Cumbria rocking horse restoration too. 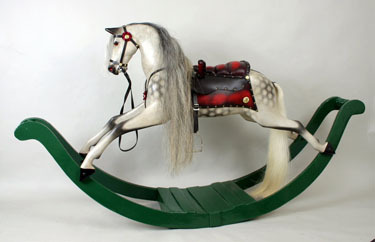 We repair wooden and fur fabric rocking horses throughout the North of England. 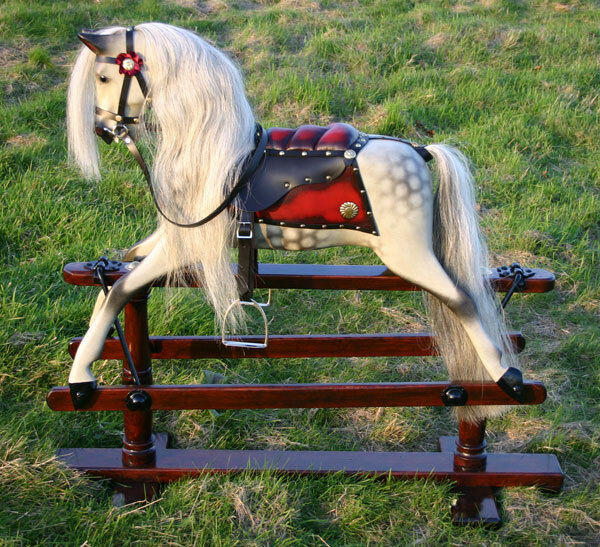 For East Midlands rocking horse repairs, which is outside of our area, please get in touch with our friends at Nottingham Rocking Horses for Nottinghamshire rocking horse restoration. Like many small businesses, we are swamped by nuisance phone calls, so please contact us by e-mail in the first instance. Thank you.